The longevity of your chimney is dependent on good termination which enables it to stay dry and free from obstruction. 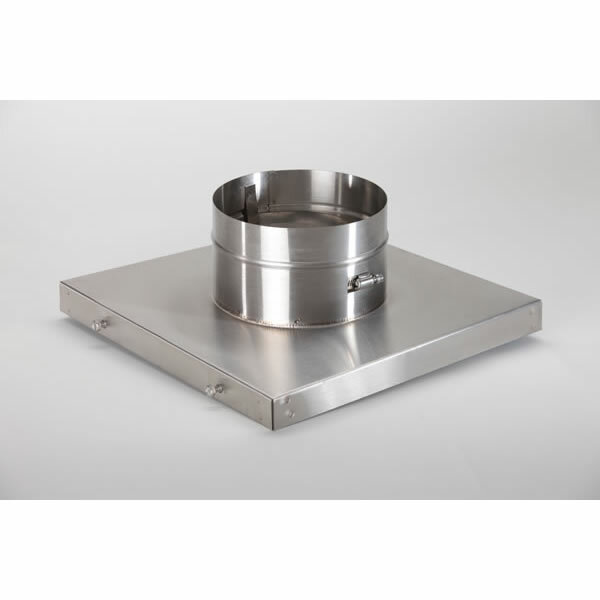 Good termination is dependent on good support, and this top plate provides excellent support for your chimney termination, attaching directly to terra cotta flue tiles. HomeSaver combines both storm collar and top plate, making a strong seal that will ensure your chimney stays sealed and dry. Designed with fit 6" HomeSaver Pro and UltraPro chimney relining pipe.